CHARLOTTE, N.C. — Peyton Aldridge tossed in 25 points with seven rebounds and four assists, freshman Kellan Grady scored 22 with five rebounds and Jon Axel Gudmundsson added a double-double to propel Davidson to an 85-70 victory over Charlotte on Tuesday night. Gudmundsson finished with 12 points and 10 rebounds for the Wildcats (3-2). 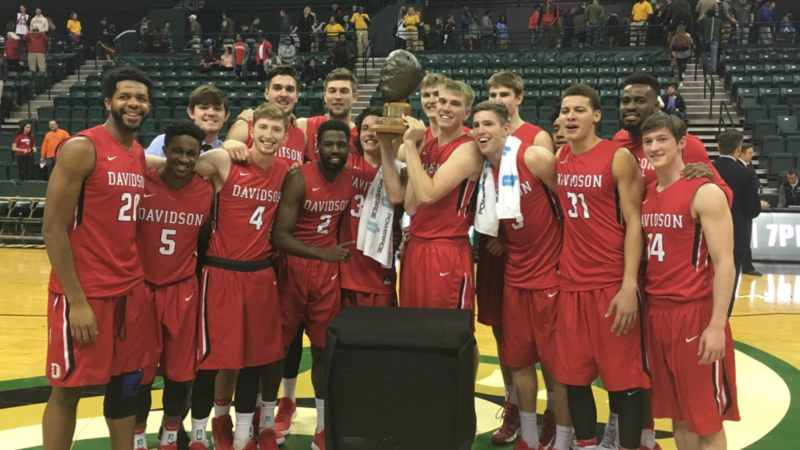 The Davidson trio came in averaging 60 percent of the Wildcats’ offense, while shooting 50.6 percent from the floor. Against Charlotte (3-3), Aldridge, Grady and Gudmundsson accounted for 69.4 percent of the offense and combined to shoot 24 of 47 (51 percent) from the floor. Rusty Reigel made all four of his shots and scored 11 for Davidson, which picked up its fifth straight win over Charlotte although it trails in the series 28-16. Andrien White hit 12 of 13 free throws and scored 22 to lead Charlotte. Hudson Price added 10 points and seven rebounds. The Wildcats, who led by five at halftime, used a 7-0 run — Gudmundsson’s 3-pointer, a Grady dunk and a Reigel layup — early in the second half to push the lead to double digits and they were never threatened down the stretch.